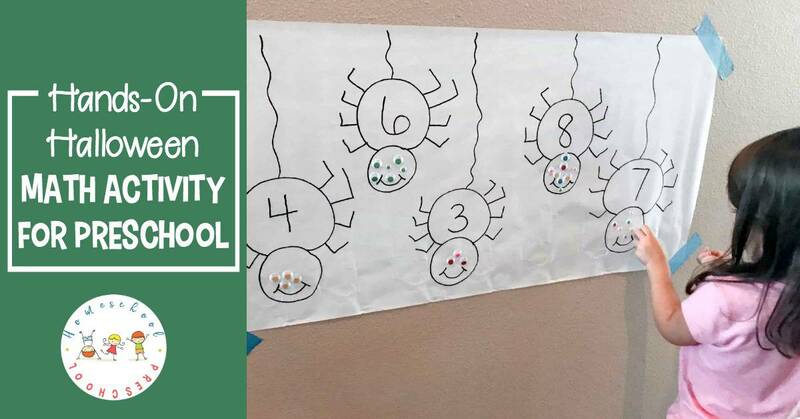 Practice counting to ten with this “Counting Spooky Spider Eyes” hands-on Halloween math activity for preschoolers. 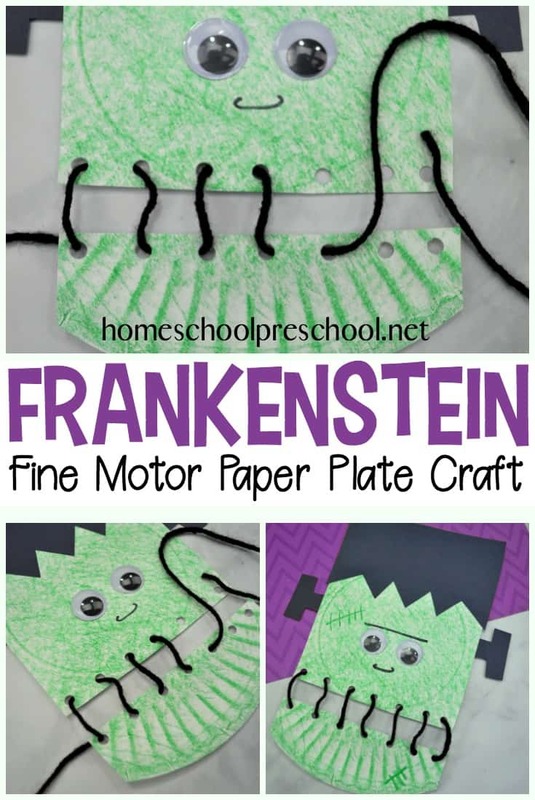 Perfect for Halloween, spider, and bug preschool units. Well, it’s fall, and you know what that means… all the wonderful fall holidays are coming up. Starting with one of my girls most favorite, Halloween! 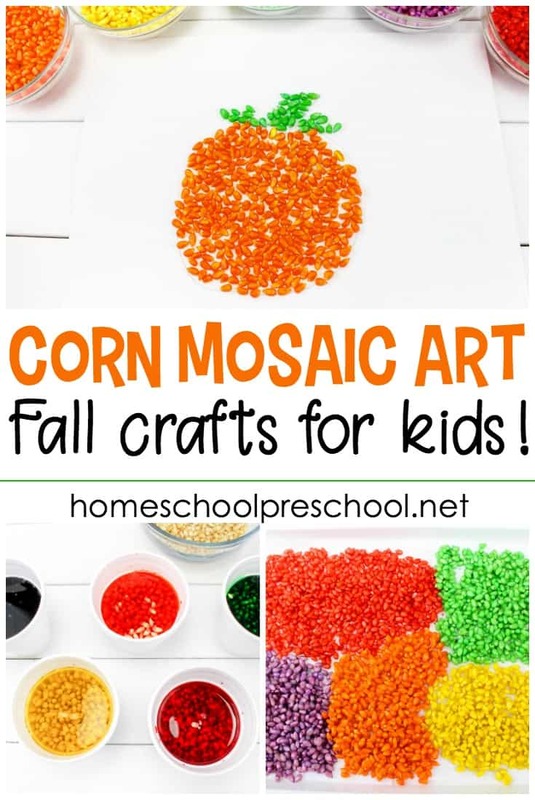 There are so many really fun Halloween learning activities you can do.Today, I’m going to share one of my all time favorites. 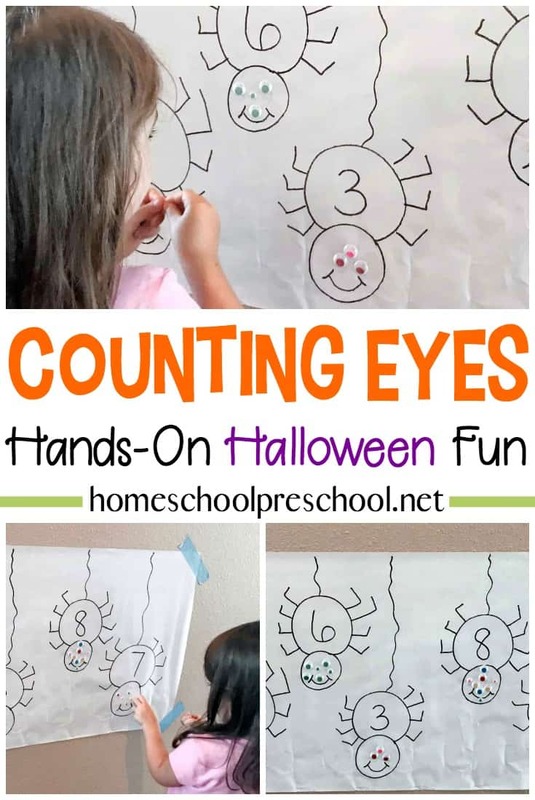 This “Counting Spooky Spider Eyes” activity is sure to keep your kids learning and having fun! 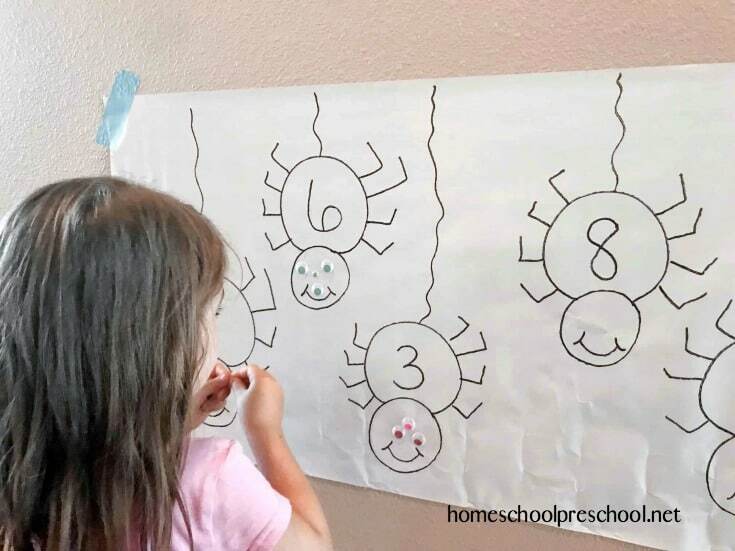 I love how this activity gets kids moving while they practice counting from one to ten (or higher if your kids are ready for it)! The first thing I did was cut a long piece of contact paper and take off the backing. Be careful when you do this so the contact paper doesn’t stick to itself. Trust me I went through a few pieces before I got the hang of it. Tape the contact paper to the wall with the painters’ tape. After that, I drew some spiders on the contact paper with the black marker, and wrote numbers on the body of the spiders. I chose some random numbers that Grace needs help recognizing. That’s one of the best things about this activity. You can have your child practice any numbers you want. I then put a bunch of google eyes in a bowl and showed Grace the activity. We went over the numbers first before I let her go. 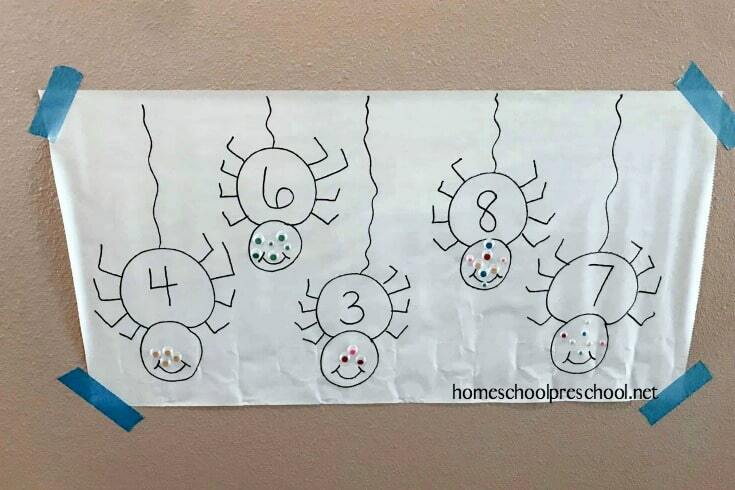 She had to stick the google eyes onto each spider’s face to match the number on each spider’s body. Grace loved this activity so much. When she first saw it, I thought she was going to jump right out of her pants she was so excited. At first, she just wanted to give each spider just two eyes. I had to explain to her that these spiders were spooky and had more than just two eyes. After we talked about it, she was super excited to make each spider really spooky with all the eyes. What did she learn during this activity? 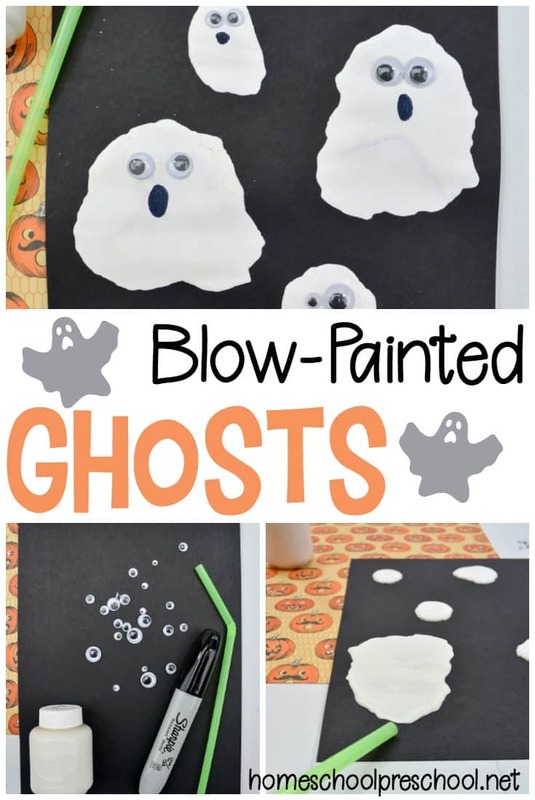 This hands-on Halloween math activity for preschoolers is such a fun activity to do. It really focuses on number recognition, counting and fine motor skills. 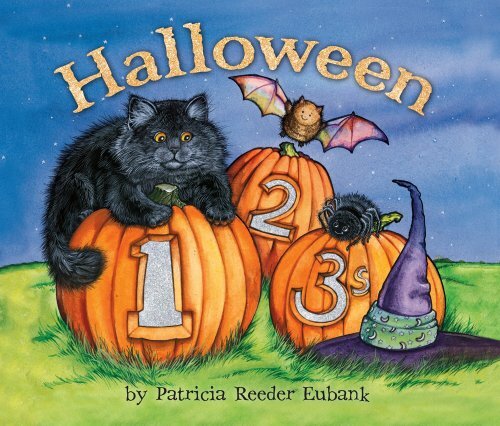 Grab your kids, and have a spooky good time with this fun counting activity today! 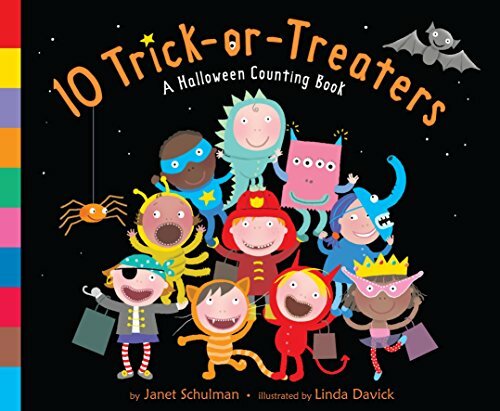 • 10 Trick-or-Treaters – Little do these ten trick-or-treaters know that they are the ones who will be frightened on Halloween night when a toad hops near, a skeleton tries to join their dance party, and a monster asks to share their candy. • Count Me…If You Dare! – How many skeletons are wearing a hat? What about all the monsters with three eyes? 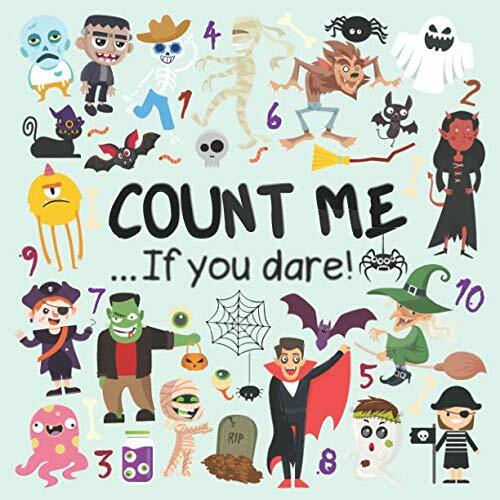 You’ll soon discover in this fun book, Count Me …If You Dare! 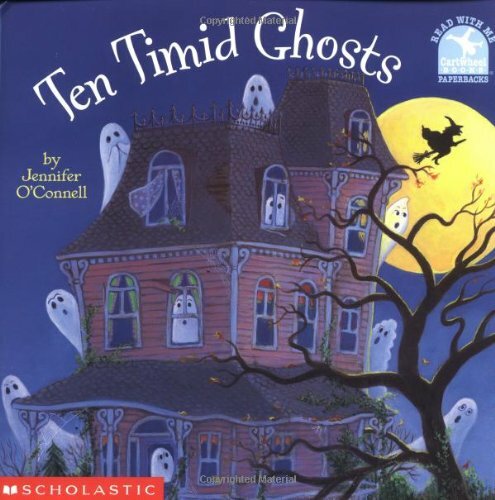 • Ten Timid Ghosts – It’s Halloween, and ten timid ghosts in a haunted house have a problem: a mean witch has moved in and is planning to scare them out, one by one! 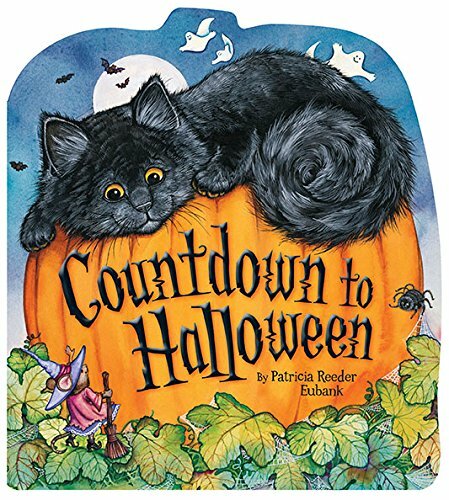 • Countdown to Halloween – When Little Kitty sees ten carved pumpkins sitting on Witch’s front steps, he asks, How many days till Halloween? And so begins this colorful countdown to Little Kitty’s favorite night of the year. • One, Two… Boo! 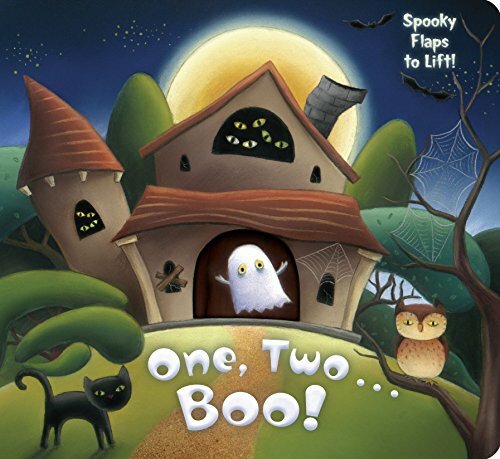 – The littlest trick-or-treaters can lift the flaps to count their way through a spooky old house . . . but they had better be prepared for a few surprises! • Halloween 1, 2, 3 – One little witch plans her Halloween party, with the help of two brooms, three ghosts, all the way up to ten guests.